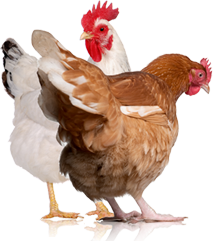 Just as suspected, avian influenza is infecting commercial poultry flocks now that cold weather is here. 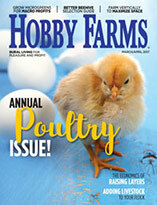 Coming through the fall without any new cases of avian influenza, I wondered if U.S. farmers dodged a bird-flu bullet. Researchers said the summer’s hot weather would curb the disease, which it did, but that the cooler weather in the fall would bring it back, which it didn’t. Then last month, turkey farms in southern Indiana became infected by the H7N8 strain of avian influenza—a different strain than what wiped out 48 million chickens and turkeys in 2015. The USDA has bird-flu vaccines on hand, though the vaccines are for the H5 strain of the virus, not the H7 strain, so they’re currently of no use. It turns out that avian influenza is just like human influenza—you can get a vaccine that was created with doctors’ best guesses as to which flu strain will be active that year, but if their guess is wrong, your vaccine is useless. This is actually the first time an H7 bird-flu strain has been found in the U.S. This outbreak is nothing in scope like last year’s, though more than 400,000 chickens and turkeys had to be exterminated on 10 farms. The key to containing a bird-flu outbreak is to immediately eliminate infected animals. The most common way to do this is to use a water-based foam to suffocate the birds. This is a terrible method, but maybe it’s better than the controversial ventilation-shut-down method that was proposed last year. In Indiana, officials intended to use the foam, but below-freezing temps disabled the equipment. They instead brought in prisoners, veterinarians and farmers to manually kill the birds using American Veterinary Medical Association-approved devices. 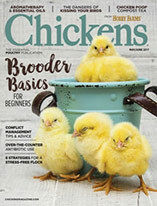 I’ve had to euthanize sick or injured chickens more times than I’d like to remember, and I do it because I know that I need to for the well-being of the bird or the flock—though I’m talking about one or three chickens at a time, not 400,000 birds. That’s just so many to think about having to kill by hand! I was happy to read that counseling services are available to the people involved in this eradication—I just hope people take advantage of this—because I don’t think I could come out of a mass extermination like this without some lingering affect. The rapid and extensive spread of avian influenza is of obvious concern to researchers and farmers, so quite a bit of investigation has been put into what went wrong last year that allowed the bird-flu outbreak to become so widespread. Poor biosecurity efforts was pinpointed as the main cause of the spread of the disease, but there’s more exploration going on. Reading about what other infection routes are being considered, this headline from Minnesota Public Radio made me chuckle: “Farming may have aided Minnesota bird flu outbreak.” Well … yes, because the birds were being farmed. But what the headline really means is that crop farmers surrounding last year’s infected poultry farms may have played a role in spreading the disease. As crop farmers tilled land that was infected with the droppings of wild birds carrying bird flu, airborne particles may have carried the virus into barns. Researchers are saying this is purely a hypothesis and that biosecurity faults are the main issue here. Read the full Minnesota study here, and keep tabs on the national avian-influenza situation on the USDA website.